Adventurous guitarists started hot-rodding their Telecasters in the late ’60s and early ’70s with big-sounding humbucking pickups that lent new style and swagger to rock music. 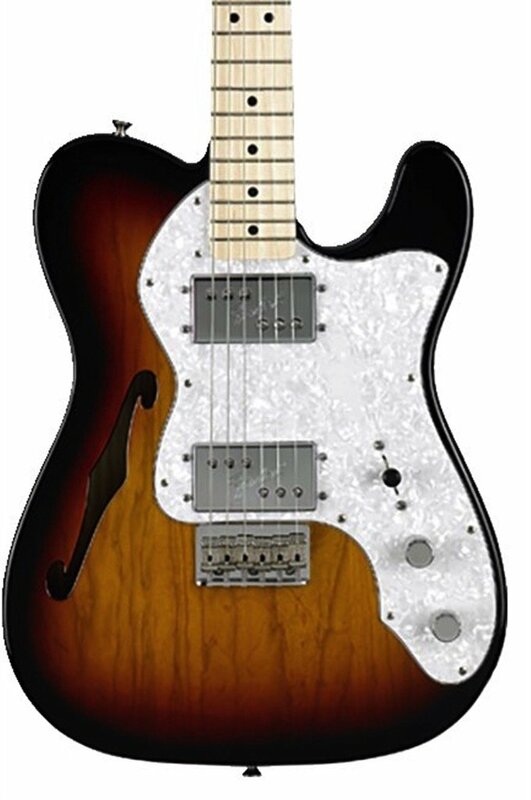 The Classic Series ’72 Telecaster Thinline brings it all back as an authentic evocation of its semi-hollow 1972 ancestor, including dual Fender Wide Range humbucking pickups, a large pickguard, Stratocaster® bridge and more. A favorite of players from ’70s rock to modern U.K. alt-rock and much more.